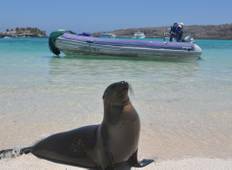 "Well organized and great way to see the Galapagos! Guide and crew were friendly and..."
"The Galapagos was amaaaaaazing! Jess our guide was the best and everyone at Galakiwi..."
"coming from the airport to the hotel in the early am was difficult. All the flights..."
"I was very happy with this tour. Seeing giant iguanas and enormous tortoises is something..."
"Jonny was fab, so knowledgeable and found us everything we wanted to see (apart from..."
"The trip was great! I really enjoyed the mix of snorkeling and hiking. 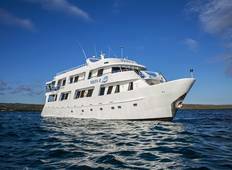 We got to..."
"The Yolita Yacht was fabulous especially the crew and snorkeling, rooms, food and..."
"Very active tour with lots of cool activities and sites! Well organized and fun!" "Jonathan is fantastic. However I was in a lower cabin, we could all smell the diesel..."